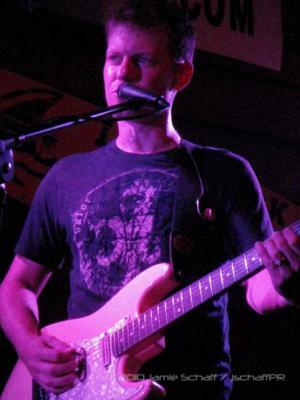 After being a hired-gun guitarist in bands for years, CJ decided to break off on his own in 2000, move to Atlanta, and start his own project. That was a good choice, because he has been playing full-time as an acoustic musician and lead singer of the band 7 Sharp 9 for the past 11 years. He has performed in wedding ceremonies, wedding receptions, clubs, proms, city events, birthday parties, graduation parties, Christmas parties, Halloween parties, 4th of July parties, fundraisers, New Year's Eve events...the list goes on and on. Notable performances include the Atlanta Peach Drop 5 times (opening for national acts Collective Soul, Sister Hazel, Edwin McCain, REO Speedwagon, The Romantics, Sugar Hill Gang, Lonestar, Tyler Hilton and Aslyn), the City Of Smyrna's Concert On The Village Green 8 times, a Celebrity Golf Charity Event in the Bahamas, all the weddings he has been privileged to play, and all the club dates he has performed from Seattle to Key West and everywhere in between. People always comment on how diverse CJ's cover song list is; he enjoys all styles of music, and that is evident in his choice of songs, from mellow dinner music to upbeat party music. 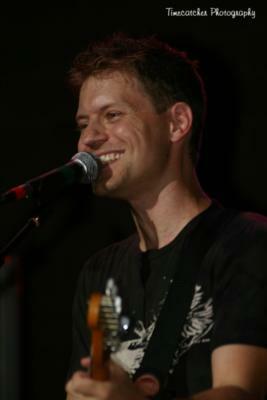 He has absolutely no problem learning any specific songs that clients might like to hear at their events. During breaks CJ turns into DJ and plays your favorite recordings of the present and past through his great-sounding PA system. CJ can also play Emcee and make announcements at your event. CJ's band '7 Sharp 9' has had several original songs on commercial radio across the country. The band has released 3 full albums and 2 singles. All songs are available on all online music stores. CJ takes pride in his past of performing in every type of situation imaginable, and he brings that experience to every show he does. CJ is an amazing musician. He was so kind throughout the entire process. He was willing and open to any ideas for songs and willing to learn new ones. I couldn't have asked for a better perosn to play my wedding!!!!! I woudl have him at any event I had that required a musician. If you are looking for the best you have found it!!! Please note Cj will also travel to Morrow, Forest Park, Jonesboro, Rex, Conley, Riverdale, Ellenwood, Clarkdale, Howard, Stockbridge, Atlanta, Hapeville, Decatur, College Park, East Point, Lawrenceville, Lilburn, Mansfield, Norcross, Fayetteville, Hampton, Lithonia, Thomasville, Tucker, Union City, Mc Donough, Red Oak, Avondale Estates, Fairburn, Stone Mountain.